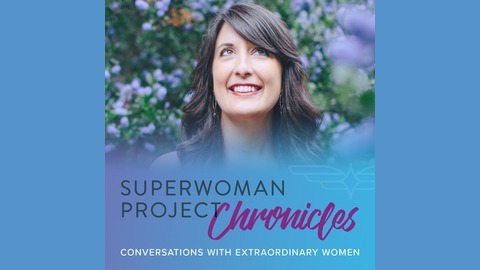 The Superwoman Chronicles is a conversation project highlighting the work, thoughts and advice of extraordinary women from around the globe. We showcase the superpowers of these exceptional women as a way of inspiring you to become a better leader. You’ll hear from strong, heart-centered women working hard behind the scenes and on the front lines of interesting, creative, and impactful work. 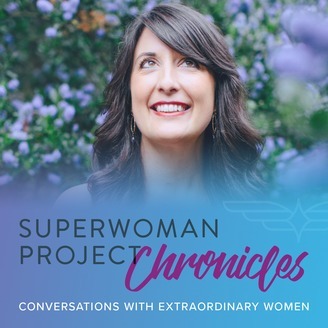 Hosted by Jessica J. Williams, founder of The Superwoman Project, this show is meant to inspire, educate and transform the conversation around women at work and in leadership to put more women into positions of power. Lara Dalch is a health and lifestyle coach to "women on the rise" – who crave practical tools for feeling healthy, confident, and powerful again – so they can have the career and life they really want. As a former entertainment marketing executive and busy entrepreneur, Lara understands the challenges of balancing good health with a busy schedule and is passionate about helping women harness the power of good health to fuel their lives through a realistic, “whole life” approach to health. Lara is a regular contributor to popular health and wellness website MindBodyGreen and has been a featured speaker at Microsoft, Flywheel Sports, Orangetheory Fitness, the University of Virginia, and the University of California, Berkeley. She holds a B.A. in Psychology from the University of Virginia, is a Certified Pilates Instructor and received her training to practice health coaching via the State University of New York and the Institute for Integrative Nutrition. Get Lara's free guide to discover your unique way of getting in your own way when it comes to eating healthier, exercising more, getting more sleep, and kicking the habits that have gotten you out of shape and out of sorts. In this episode, we shared about the following topics: Fear, intuition and self-sabotage in achieving your goals. The practice of self compassion and how to live with more grace. The power of reconnecting to the body for clarity and decision making. Observations and hopes for the “me-too” movement. What is ‘primary nourishment’ and its relationship to food. You can connect with Lara @ laradalch.com and on social media : Twitter, Facebook, Instagram and Linkedin.